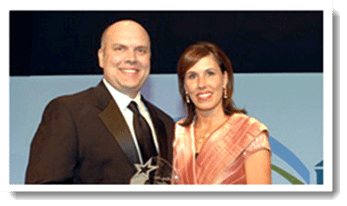 Scentsy is a family-owned home and personal care fragrance business that Orville and Heidi Thompson began operating in 2004. In addition to innovative fragrances, the family developed a multi-level marketing structure for Scentsy that allows fragrance lovers to operate their own businesses. The main selling points for the Scentsy products and business opportunity are the distinctive fragrances, product quality and variety and the experience of sharing the inviting scents with friends. The Thompsons have built Scentsy to be a successful and well recognized brand locally and internationally. They’ve managed to maintain high quality products and enthusiastic consultants. Scentsy consultants aren’t excited about the compensation plan though. They earn some of the lowest commissions in the MLM world. Instead Scentsy consultants are excited about the products and the social aspects of the company – earning a little extra income from the Scentsy business is a side benefit. And this is just one excellent example of how this company focuses on product sales instead of recruiting other reps.
You'll see below that consultants are paid between 3% and 25% commissions which is very normal in affiliate marketing. Most network marketers are used to overly complicated compensation plans that use deceptive marketing slogans like “100% commissions” (which is never actually true), plus a series of uplines and downlines that make it seem like you can get rich easily by growing your ‘network'. It's false advertising that Scentsy doesn't play into. To summarize, you won’t strike it rich with Scentsy, but if you join you’ll be doing something you love and making some extra cash doing it. If you work hard and dedicate time to improving your sales methods, it could be a pretty good source of income at some point. With most MLM businesses hidden costs are almost a certainty. They tell you one price to join, then hit you with a number of hidden costs for tools, training, products etc. However, I was unable to find any hidden costs associated with joining Scensty. Nor did I find any complaints of hidden costs or extra fees. This speaks volumes about them as a company. And it’s probably one reason why consultants love them so much. Scentsy has a range of products that all fall into one of two categories. 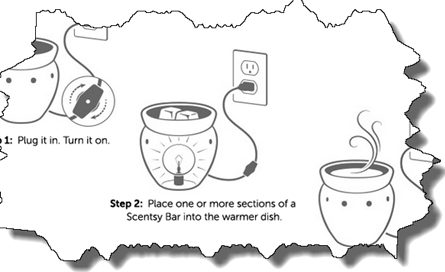 Scentsy's home fragrance products consist primarily of decorative candle warmers, stands and fragrance bars. A fragrance bar is a unique blend of wax and scented oils that is placed within a warmer to diffuse the scent throughout the living space. The light bulb and element warmers come in a variety of styles to fit many interior design schemes; a large selection of plug in warmers are available as well. These warmers cost between $25-$45 depending on the chosen style. The company's product prices are comparable to Scentsy's close competitor Yankee Candle's Scenterpiece line which does not offer the same level of variety as Scentsy. Many people enjoy layering scents that match their personal care products and their home scents. Scentsy allows them to do just that with an extensive line of soaps, shower gels, lotions, body butters and body sprays. These products come in over 20 fragrance choices, and the prices on these items are $12 and under. The company even sells laundry soaps. 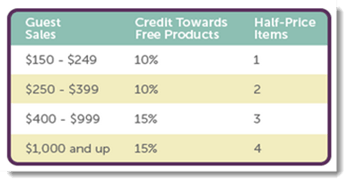 There are a couple different ways you can earn from Scentsy. You can take a more passive approach and earn a small discount off your favorite items as a party host. Or you can dive in and try to make it a Scentsy consultant. People who love the Scentsy products and are willing to share their secret to a great smelling home with their friends can host a party with the help of a Scentsy consultant. The incentives for hosting these parties are often a free host gift and a discount off their favorite items. The level of discount received directly relates to the amount of sales generated at the party. For example, a party that generates sales between $150-$249 earns a 10 percent discount for the host. It is the Scentsy consultant that presents the products at parties and handles ordering details. These company representatives also recruit other consultants to join their team to target more households and businesses with the home fragrance line. An initial fee of $99 is all it takes for a new consultant to get started selling Scentsy. The fee includes a selling kit with product samples, fragrance testers and access to a personal website that is free to use for 90 days, $10 monthly after that. I'm not crazy about needing to pay a monthly fee, but it's a lot cheaper than some other places that require you to spend $100's per month. 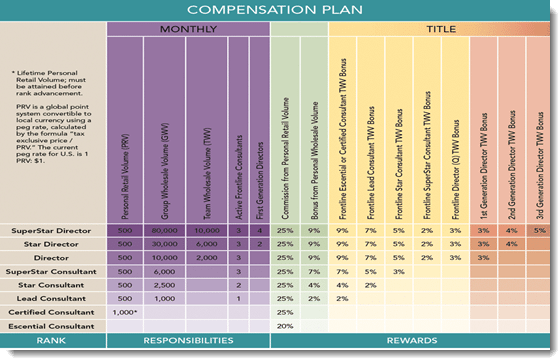 There are eight levels within the Scentsy MLM structure, and the initial consultant only advances in rank by earning a certain amount of sales. This is another huge difference between this company and other network marketing companies I regularly complain about on my site. The focus is on making sales, NOT recruiting. Most places make it very clear that the ‘real money' is made by finding other sellers, and that is why they are usually considered a pyramid scheme instead of legit network marketing. The commission they earn on personal sales is 20 percent. Consultants of higher rank earn team bonuses and percentages of wholesale sales volume in addition to their personal sales commissions. While I believe Scentsy might be a good option for some fragrance enthusiasts, I don’t think it’s going to make you any REAL money simply because there's not enough training and support. Most people will be left selling to friends and family, much like Tupperware or Amway. And don't forget that you are required to buy products upfront, store them in your home and carry them wherever you go. Even if you love fragrances there’s a much better way to monetize that passion. It’s called affiliate marketing and it’s one the most effective, low cost ways to start a business online from your own home. As an affiliate marketer all you need to do is tell others (via social media, blog posts, or other online outlets) about the products you love. You don’t have to store them or ship them. All you have to do is join the affiliate program where your favorite products are sold and they take care of the rest. Chances are you’ve referred someone to try a product, restaurant or business before in your daily activities. Have you ever used Yelp or left a review on Google+? Maybe taken a picture of your food on Instagram or posted about something cool you bought in Facebook? If you were an affiliate you could’ve earned a commission for doing it. Almost every company you can think has an affiliate program and they pay people just like you to refer others. You can learn how to do all this in a newbie-friendly zone that includes the step by step training you need through this program. Candle and scents aren't my thing, but if it's yours, I say go for it. Just try not to be too pushy when selling to friends and family!